le tiny universe | Every girl has her own tiny universe of fashion and lifestyle. Every girl has her own tiny universe of fashion and lifestyle. Today`s post is dedicated to hair care. The topic is vast and hell I can write hundreds of words on the subject, but I will try to minimize them and not bother you with unnecessary details. Fall is out and it’s time to prepare for the cold weather, wind and other killers of prefect hair. If you’re my type and you have long hair, very well you understand what I mean. I tested a thousand products and many of them had a positive effect, but they weren’t perfect for various reasons, which put me off them. It has been a while since I came across one, for which I can say I would have taken a whole box 😀 Now I will tell you more about it and also some tricks and tips for hair care in autumn. Днешният пост е посветен на грижата за косата. Темата е адски обширна и мога да изпиша стотици думи по този въпрос, но ще се опитам да ги сведа до минимум и да не ви занимавам с излишни подробности. Навън е есен и е време да се подготвим за студентото време, вятъра и всички други убийци на съвършенната коса. Ако сте като мен и имате дълга коса, много добре разбирате какво имам предвид. Изпробвала съм хиляди продукти и доста от тях са имали положителен ефект, но и недостатъци, които са ме отказвали от тях. Отдавна не бях попадала на някой, за когото мога да кажа, че бих си взела цял кашон 😀 Сега ще ви разкажа малко повече за него и за някои трикове и съвети за грижата за косата. For quite a long time I didn`t post anything but I’ll fix this. Today`s post is about my perfect combo for summer- long skirt and colorful swimsuit. These items are something like my uniform for a day spent at the seaside. От доста време не съм публикувала нищо и реших да поправя тази грешка. Днес ще ви разкрия моята перфектна комбинация за това лято – дълга ефирна пола и закачлив бански. Те се превърната в нещо като своеобразната ми униформа за морския бряг. The long weekend is almost over and it’s time to get back to the working mindset. That is why the following question is circulating my mind – What is it going to be for Monday? A frequently asked question, but just as scary, this is a dilemma facing every one of us early in the morning. The conflict between how sleepy we are and how well we want to look at the workplace faces us every day. However, lest face it, we spend around 1/3 of our day at the office and we want to feel comfortable and look good at the same time. In an effort to inspire you today, let me give you three outfit suggestions that you cannot go wrong with. Почивните дни са към своя край и е времe да се настроя на работна вълна. Точно затова в главата ми се завъртя следният въпрос- „Какво да в понеделник?“. Често срещан, но все още толкова плашещ, този въпрос изправя пред неистова дилема всяка една от нас рано сутрин. Сблъсък между това колко ни се спи и как искаме да изглеждаме безупречно на работното място. Все пак да бъдем реалисти – в офиса прекарваме около 1/3 от деня си и е важно да се чувстваме удобно, но и да изглеждаме добре. За да ви инспирирам днес, нека ви представя три предложения, с които няма да сбъркате. There`s an old Bulgarian saying: You can find everything in woman`s bag, but order. I kinda’ agree with that but let`s be honest – if women don`t need so much “essential” things every day. There would be no reason for the fashion industry to create so many gorgeous, irresistible and “ohh my god I want it” handbags. So let`s see what is the ‘tiny universe’ hidden in my bag. Here in Sofia it seemed that spring was on vacation and cold weather is gonna stay for quite a while… But this is not reason enough for me not to dream about sunshine, freshness and sweet-scented fruits. That`s why I decided to share with you two of my new favorite body products. Some weeks ago I came across them in a local drug store and they easily became my favorites. I`m talking about I love…Mango and Papaya shower gel and body lotion. This is our first post about outfits and style and I`m kinda exited. Today the weather was very nice – warm and sunny, a little bit windy but not so bad. So I decided to combine two of my favorite pieces and go out for a walk. One day in … Sofia! have you ever wondered what would your city look like to a tourist? So, I have. And recently I got the opportunity to show it to a guest of mine – my beautiful and great Brazilian colleague who lives in Boston, Marina. I had the chance to see my city from the eyes of a foreigner and honestly, I liked it a lot. Especially the desserts (baklava cheesecake everyone)! Also available in Sofia – a lot of clubs, young people and fun! 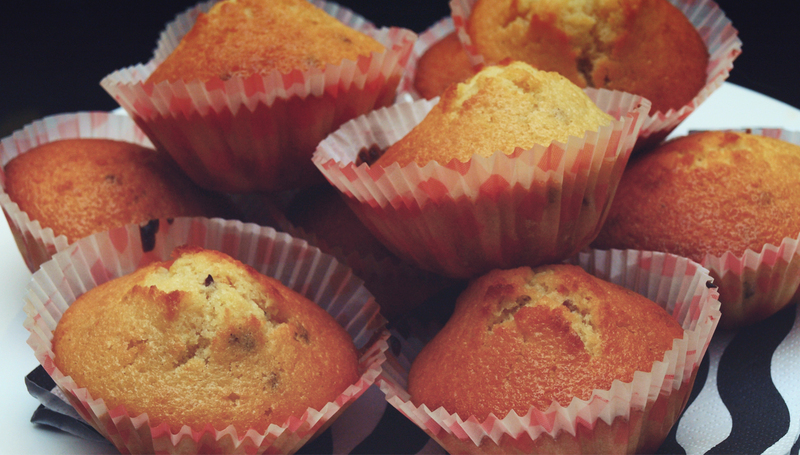 Today I`ll share with you a recipe for some easy and delicious muffins. I really love them because almost all required ingredients can be found in ordinary refrigerator. Basically they are common muffins but the differences come from flavors – lemons, tangerines, grated coconut and cinnamon. They are perfect for brunch parties, office snack or surprise for upcoming Valentine’s Day. So let’s get started. Hi guys! It`s Sunday and I have some more free time, so I decided to make a delicious dinner for me and my boy. We both are italian food lovers and that`s why I chose pasta as my dinner dish. Not classy carbonara spaghetti but something a little different. So I pressent you my creamy spaghetti with bacon and pickles. It`s easy and very delicious. Hope you like it. I have always liked galaxy pattern stuff (but have not been brave enough to buy one of these – http://wheretoget.it/look/64171). 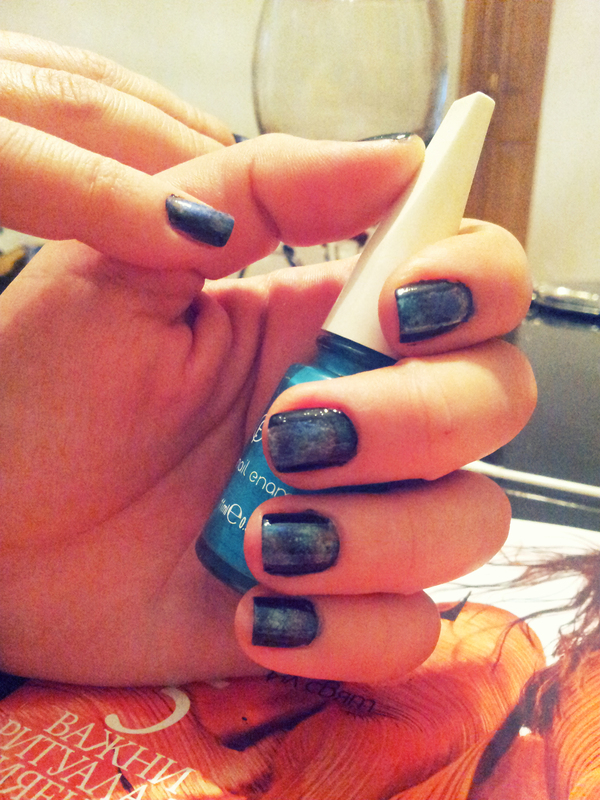 So, I decided to take it slowly and first do the galaxy nails. I got inspired by some youtube videos like this one https://www.youtube.com/watch?v=Rd6Kb2jmdL8. – nail polish in several colors – black, shiny dark blue, fuchsia, white, mint.